The very successful Kiwi MC38, Menace, has won the first event of the 2016 MC38 Australian Series. 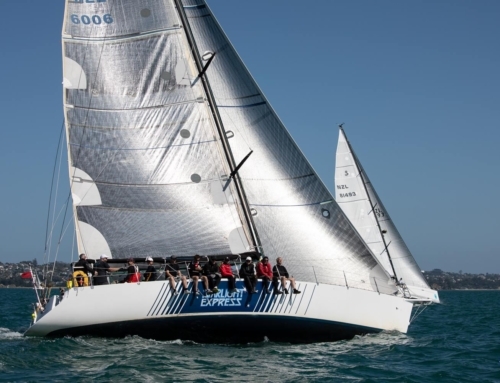 Racing as part of the Sail Port Stephens Regatta in NSW, Howard Spencer and his highly experienced crew have put their latest win down to their best regatta in the boat so far. 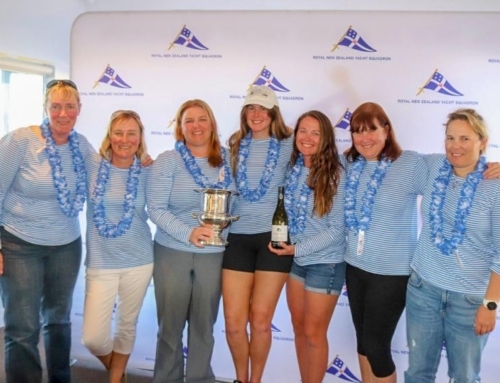 “It’s really good to come away with the first win of the series,” said crew member Ray Davies. “Everyone sailed extremely well, and we were boat of the day for both days of our racing,” continued Davies. “We really enjoy racing against the Aussies and it’s always great to come out on top,” said Davies. The next MC38 regatta is back in Sydney racing from Middle Harbour. The Menace crew will fly back to Australia and once again fly the Akarana burgee at the event.